Be Market Ready on Day One! You only get one chance at a good first impression and that's the most important! How your home is experienced by a prospective buyer will make all the difference. Improving the appearance of your home prior to it going live on the market is of the utmost importance. We suggest taking care of those needed repairs, decluttering, depersonalize, cleaning, sprucing the yard is a great way to show your home in the best possible light. Always be Ready to Show! Your home needs to remain "show ready" at all times, you never know when your buyer will walk through the door. In case you've already moved to your new home,consider "staging" your home, it has been proven that staged homes sell quicker and for a higher price than vacant homes. We offer an staging consultation included in our listing fees, contact us for more details. 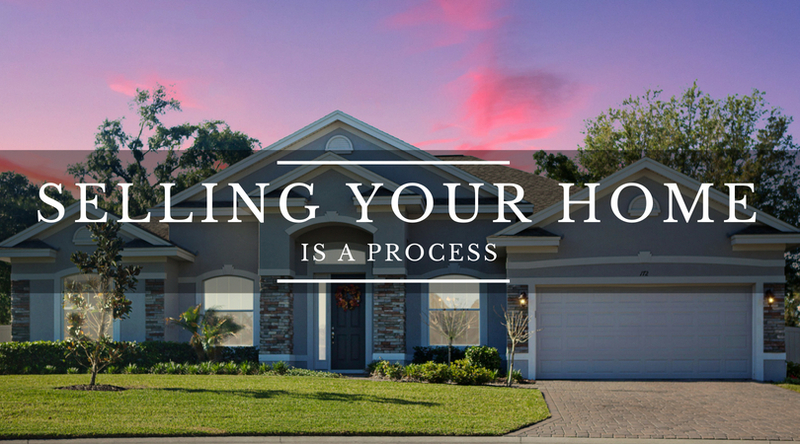 Let's make sure your home is priced right from day one! Remember, there is no "later," the largest pool of buyers will view your home in first few weeks after your home enters the market, hence the utmost importance to price your home at Fair Market Value, anything higher will decrease your chances to sell as well as turn off any potential buyers from writing an offer on your home. Pricing higher to decrease later or to give you some "negotiation" room is one of the worst mistakes sellers can do. Homes that underwent a price reduction sold for less, and the greater the reduction, the lower the selling price. Showcasing your home's best attributes. Our mission is to truly and effectively market your home, in order to accomplish this task we only utilize professional photographers/videographers, unlike many other real estate agents who will take poorly lit and out of focus photos of your home with their cellphones and expect to attract good qualified buyers with such poor marketing efforts. We believe that "packaging" your home right will position your home to the largest audience of able and ready buyers. Digital Marketing Plan. Buyers begin their home search on mobile devices, information consumption has trended towards mobile platform usage rather than desktop and with our Global Digital Marketing Plan we aim to keep you in front of BOTH audiences to maximize your home's exposure. We will list your home to broker networks, Multiple Listing Service, real estate websites and portals such as; Realtor.com, Trulia, Zillow, Yahoo Real Estate, Sotheby's, Coldwell Banker, Weichert, Century 21, ERA, Remax, Berkshire Hathaway, Redfin, Keller Williams and many more. An important part of our Digital Marketing Plan is our Pre-Listing Marketing Campaign to start generating a much "buzz" as possible on your home. Enhancing the Home Search Experience. Custom mobile-responsive websites, interactive maps, immediate notifications, professional photo and video social media marketing, demographic and school information, today's home buyer wants to have it all at the tip of their fingers, we will make sure your home is easy to find as well as to stand out from the competition. Community Marketing. We will get your community involved, through social media, print media and direct mail, we will let your neighbors know your home is on the market. Realtor® Promotion. Unlike most agents we will not simply list your home on the MLS and wait for other agents to find it, through a systematic campaign we will reach out to all other Realtors® working and selling your area to make them aware of your home and it's best features. We accomplish this through social media, networking events, direct mail as well as a broker's open house. Pricing will very often determine the success of your sale, we will provide you with a current CMA to assist you in determining the best Fair Market Value for your home. Preparation is everything! Together we will make sure your home is ready for the market. Remember, you only get one shot at a great first impression. From small repairs to complete renovations we have the team of professional contractors to help you get your home ready to sell. Even before your home goes on the market we will be hard at work making sure that when your home enters the market it will make the biggest splash possible using a combination of digital and "old school" marketing tactics. This includes Professional Photography and Video. A customized written marketing plan will be presented, to ensure your home is placed in front of the largest and most qualified audience of ready, willing and able buyers. Our Marketing includes a combination of Social Media, Digital, Print, Networking, Open Houses (both public and Realtors® only), text capturing technology and much more. Custom mobile-responsive websites, interactive maps, immediate notifications, professional photo and video social media marketing, demographic and school information, today's home buyer wants to have it all at the tip of their fingers, we will make sure your home is easy to find as well as to stand out from the competition. We will get your community involved, through social media, print media and direct mail, we will let your neighbors know your home is on the market. Unlike most agents we will not simply list your home on the MLS and wait for other agents to find it, through a systematic campaign we will reach out to all other Realtors® working and selling your area to make them aware of your home and it's best features. We accomplish this through social media, networking events, direct mail as well as a broker's open house. Your home will be listed in the MidFlorida Multiple Listing Service, which reaches over 42,000 real estate professionals in Central Florida. All of our listings will include the maximum allowed photos and videos, professionally produced and designed to attract the best and most qualified buyers to your home. As well as a complete property description highlighting your home's best attributes. The information submitted will be accurate and plentiful and designed for maximum impact. To enhance your MLS listing, your property will be syndicated to ALL property websites, including Realtor.com, Zillow, Trulia, Homes.com, Yahoo Real Estate, Wall Street Journal, as well as all other real estate companies portals, such as; Coldwell Banker, Century 21, Keller Williams, ERA, Better Homes and Garden, Weichert, Redfin and all the others. A Super Charged Yard Sign will be installed in your property with multiple ways for prospective customers to access the information about your home. On a regular basis we will provide you with a Marketing Activity Report either via email, phone call, text message or personal visit to keep you informed of any changes in market conditions that may affect the sale of your home as well as with buyer and Realtor® feedback. And last but not least actions taken to market your property. Any additional duties that mutually agreed to with a party. Access our network of business partners to make your real estate transaction a breeze. From attorneys, tax accountants, contractors, cleaners and much more we have the resources and team to help you achieve your real estate goals. We promise to return your calls, texts, emails or messages promptly and well as to provide you with regular updates on the progress of the sale of your home. We will provide you with all disclosure forms regarding the condition of your home. While you keep us informed of any changes on the property to maintain the disclosure up to date. We will review any purchase offers presented, as well as verify the strength of the financing. We will negotiate on your behalf to reach the price, terms and timeline acceptable to you. When an offer is presented we will immediately furnish you with an estimate of the monies you can expect from the sale of your property. We will manage the entire transaction including the satisfaction of all contingencies and/or conditions as well as monitor the buyer's financing to ensure the closing happens on time and without any issues. Keeping you informed throughout the entire process. As we have strong relationships with multiple lenders we're able to assist buyers will kinds of financing needs including down payment assistance programs, foreign national loans, stated loans, FHA, VA, Conventional making easy for them to qualify.